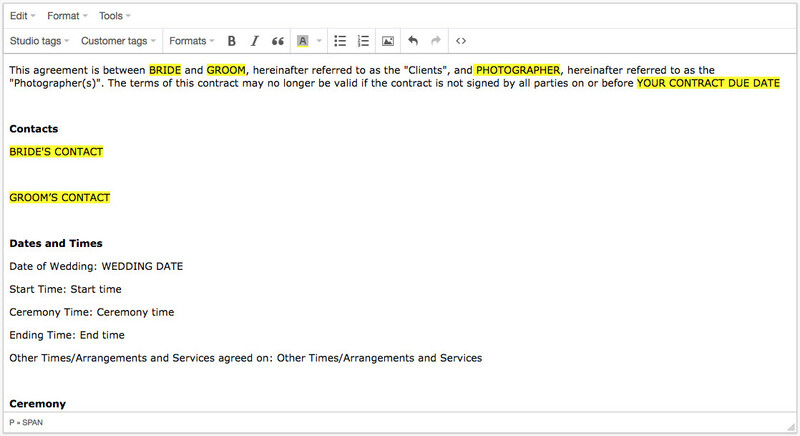 Digital contracts for professional photographers. Automated from start to finish, so you can get back to taking photos. Nobody really likes dealing with the legal side of business transactions because they can be costly, hard to understand and let's face it, not much fun at all! Professional photographers should always protect themselves from liability with a signed, written contract. Not only do contracts clearly set the expectations for the photographer and their clients, they also establish grounds for recourse should either party not fulfill their end of the agreement, making it much easier to pursue satisfaction in a court of law. Contracts also have the advantage of setting one's clients at ease. A clearly laid out contract actually helps reduce stress and will be one less thing to worry about on the big day! 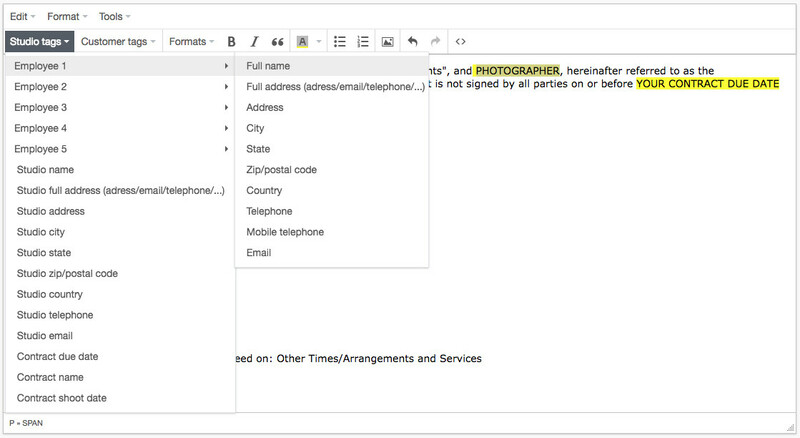 Copy & paste your contract copy into our contract template editor. 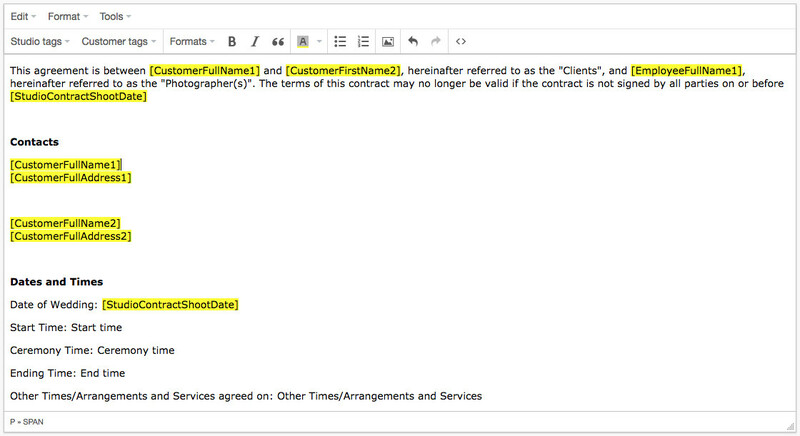 Highlight the names and dates that change from contract to contract, and replace them with our special data tags from our handy Studio and Customer tag menus. 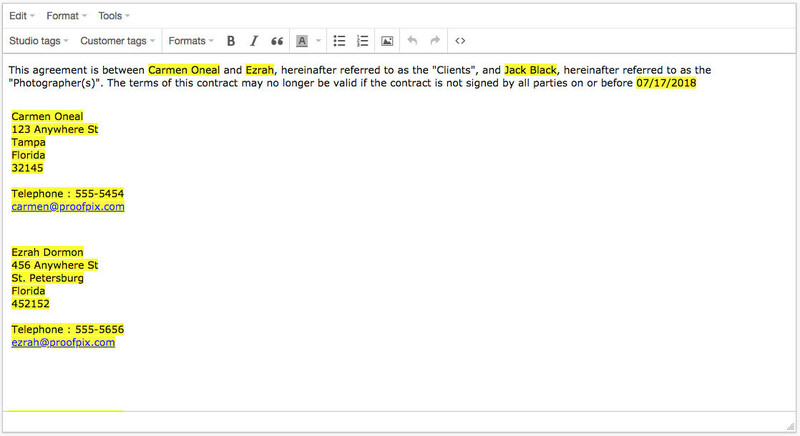 Open a new contract from the template and select the parties involved. User and studio data is automatically inserted. Save the contract and email it out with just two clicks. You can track the emails and the signing progress. 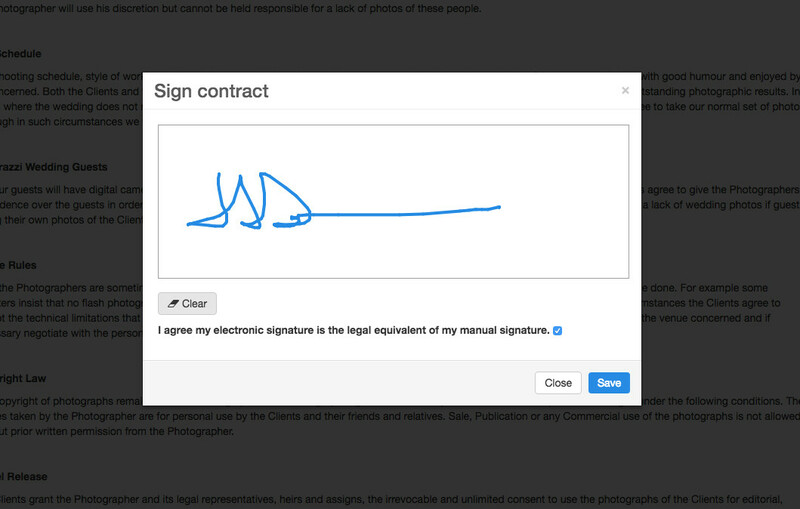 Sign the contract from any desktop or mobile device. All parties are emailed whenever somebody signs the contract. 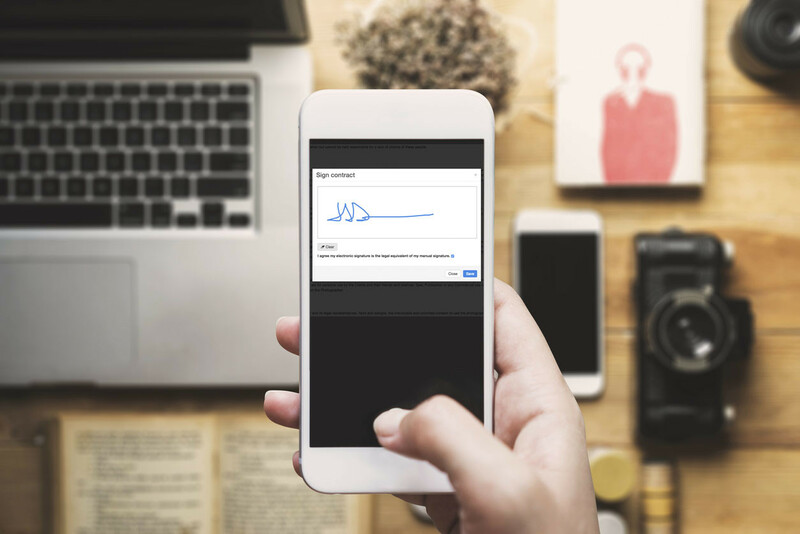 Once all the signatures have been received, we create an electronic signature of the document and we will be able to tell if the document has been altered upon request should a court wish to prove authenticity.